Shakespeare never goes out of style and ‘Macbeth‘ is proof of that. Of course, if you serve your Shakespeare with a side of Michael Fassbender (‘X-Men: First Class‘) as the titular Scottish duke, it’s a match made in heaven and has to be, at least part of, the reason the screening received a 10-minute standing ovation after it’s screening at the 68th Cannes Film Festival. A trio of witches set forth a prophecy claiming Macbeth will one day become King of Scotland. Consumed by ambition and spurred to action by his wife, Macbeth murders his king and takes the throne for himself. 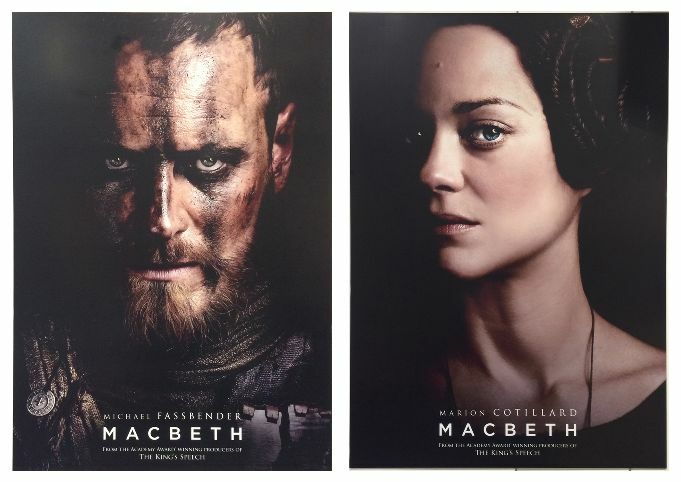 Lady Macbeth is played by the gorgeous Marion Cotillard (‘The Dark Knight Rises‘), Sean Harris (‘Prometheus‘) is MacDuff and Elizabeth Debicki (‘The Great Gatsby‘) is Lady MacDuff. There are performances from David Thewlis (‘Harry Potter and the Prisoner of Azkaban‘), Paddy Considine (‘The Bourne Ultimatum‘) and Jack Reynor (‘Transformers:Age of Extinction‘) among the cast directed by Justin Kurzel (‘Assassin’s Creed‘). The debut is only a month away opening on October 2, 2015. ‘Assassin’s Creed’ Trailer with Michael Fassbender Looks Good! The Weinstein’s Pick Up ‘Macbeth’ With Michael Fassbender And Marion Cotillard!! Destructor of the World, Roland Emmerich’s New Film “Anonymous” Has A Trailer!!!! The First Trailer For ‘Assassin’s Creed’ Looks Freaking Awesome!!! This entry was posted on Tuesday, September 1st, 2015 at 11:00 pm	and is filed under Books, Film, News. You can follow any responses to this entry through the RSS 2.0 feed. You can skip to the end and leave a response. Pinging is currently not allowed. « Keanu Reeves & Eli Roth’s Thriller ‘Knock Knock’ Looks Awesome!! !